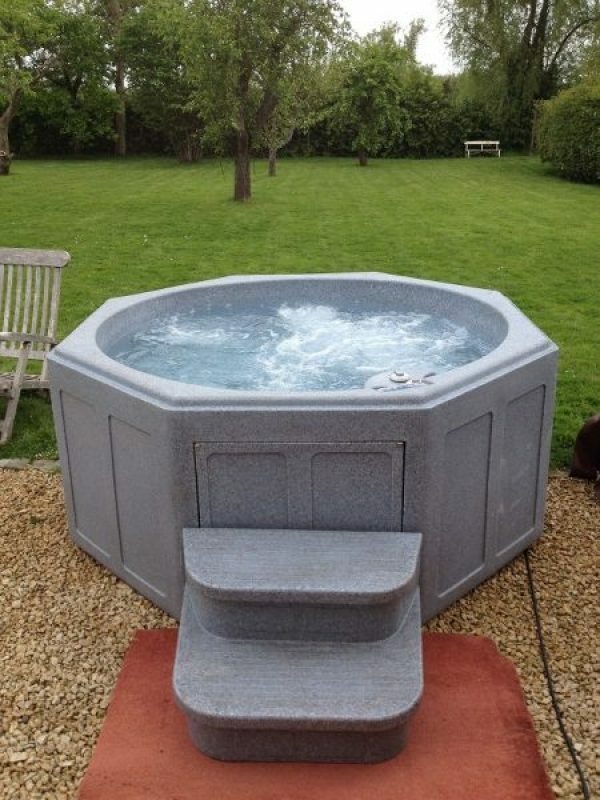 This is our award winning deluxe hot tub. 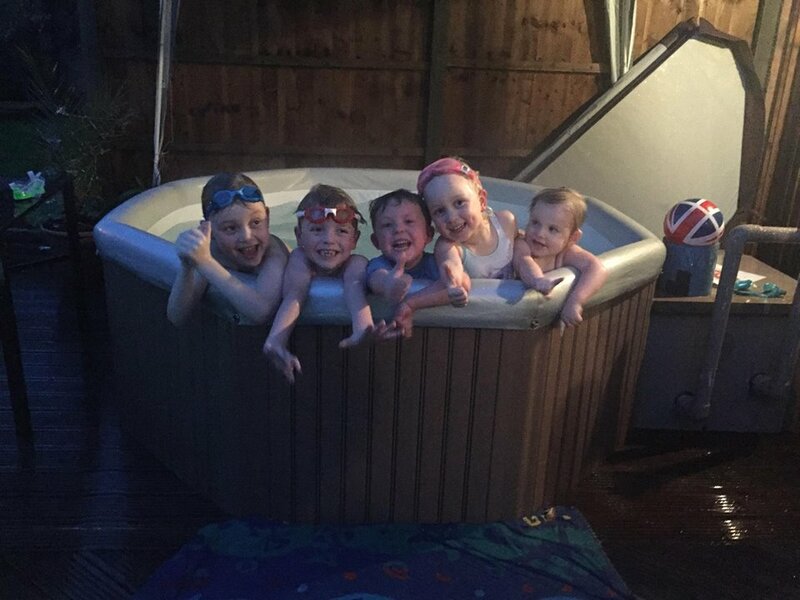 These hot tubs hold 5-6 adults (more kids) and cost only £199 for the weekend! 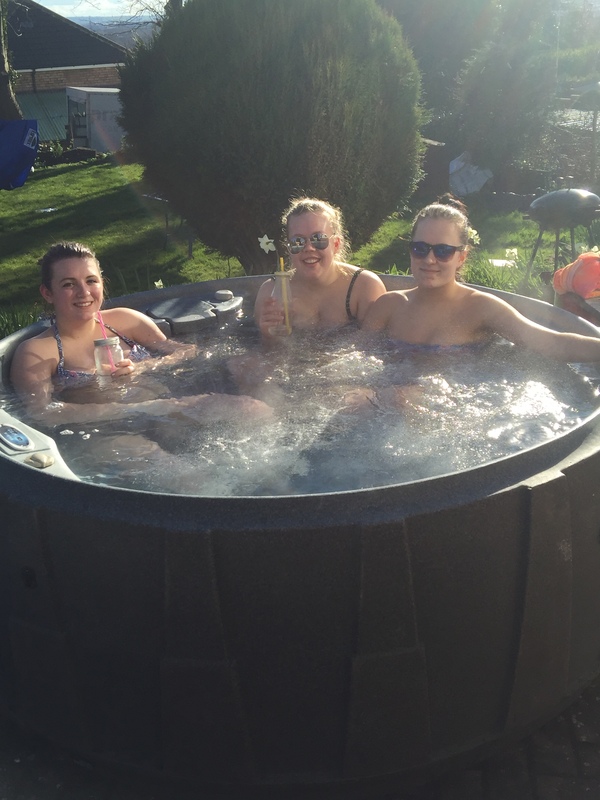 We deliver the hot tubs on a Thursday to ensure the hot tub is heated up ready for you to use on the Friday and we collect the hot tubs on a Monday so you are guaranteed a full weekends usage!! 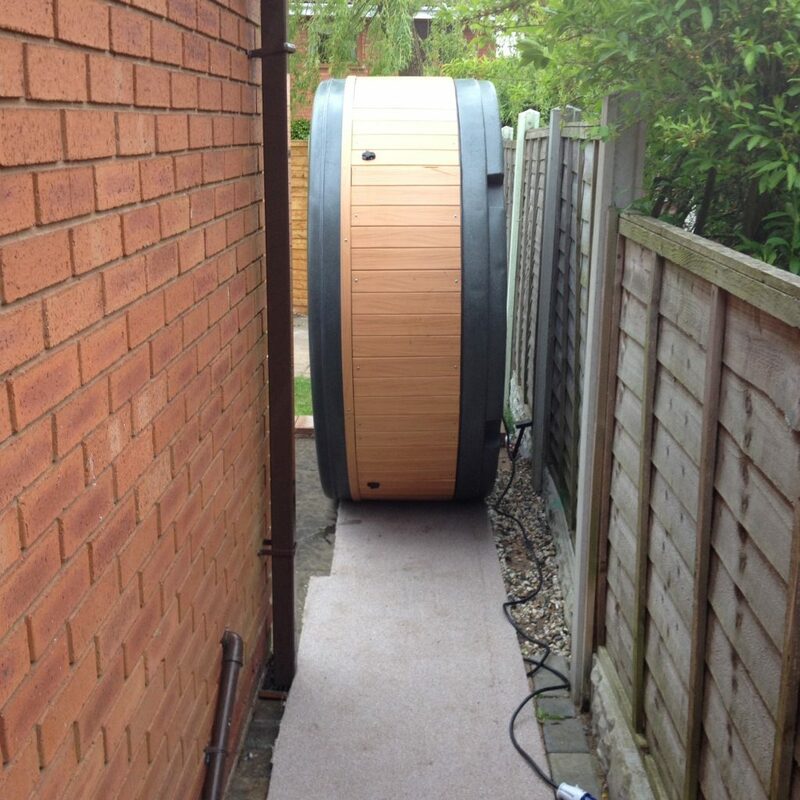 These hot tubs are rolled into position (see picture below) so you need to check the following before we deliver!! 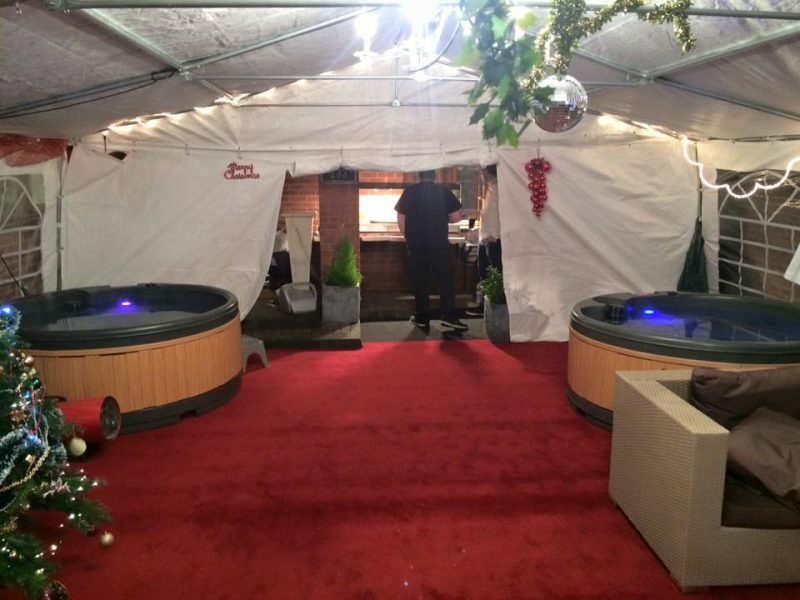 If we have to go down passageways, they have to be straight – the hot tubs don’t bend or go around corners!! We bring everything we need with us, don’t worry if you haven’t got an outside tap or power socket. We bring extension cables and tap adaptors with us. 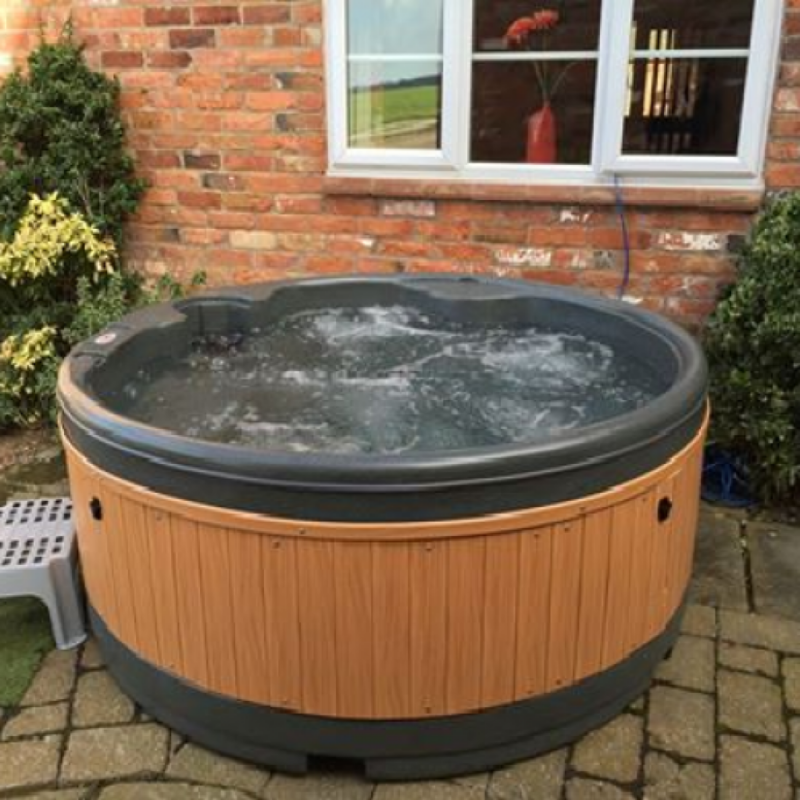 Our friendly delivery drivers will set up the hot tub and show you how to use it and we will also leave you an instruction sheet and any top up chemicals that you may need.